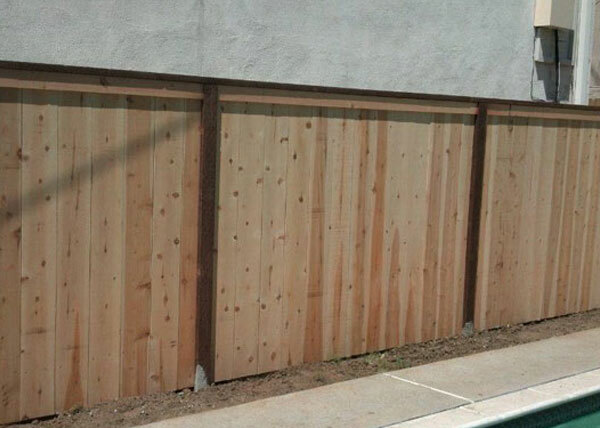 We installed this cedar wood privacy fence in West Hollywood, CA. The privacy fence was constructed with pressure treated posts to ensure stability. 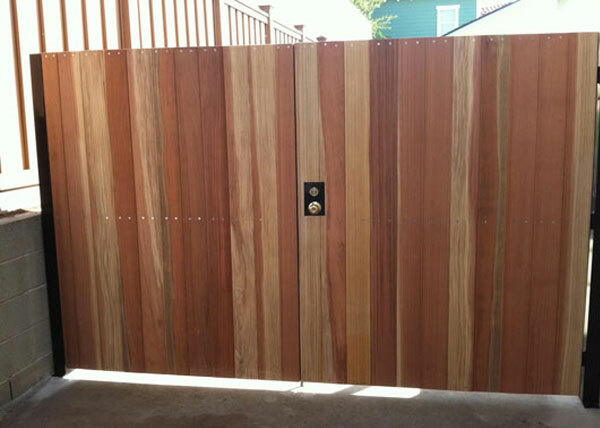 This is an outside view of a cedar wood privacy fence in West Hollywood, CA. The wood privacy fence includes pressure treated top and bottom wood rails. J&J Fence completed this pool fence installation in West Hollywood, CA. 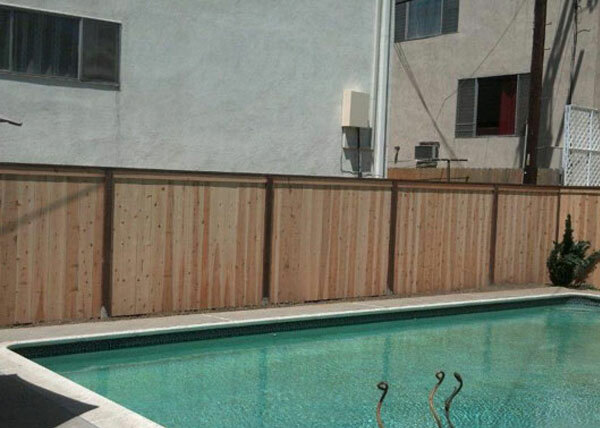 The privacy pool fence is made out of cedar wood and pressure treated posts. It is 6 ft tall and features a border top and cap. We designed, built, and installed this double swinging privacy driveway gate in El Segundo, CA. It features a frame made out of steel tubing, posts, and select grade redwood privacy boards. 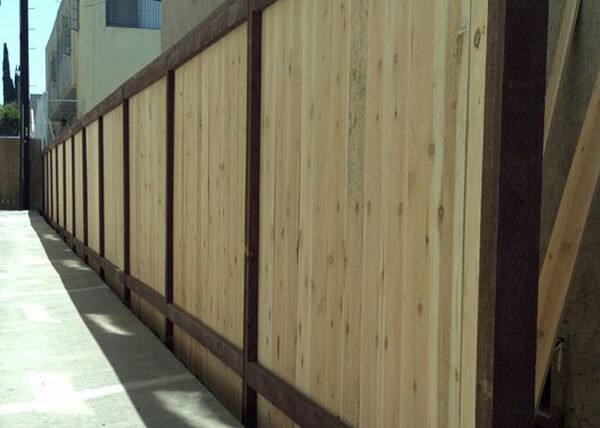 J&J Fence installed this privacy fence in West Hollywood, CA. This 6 ft tall cedar fence with redwood lattice topper adds privacy and style to this homeowner's backyard. 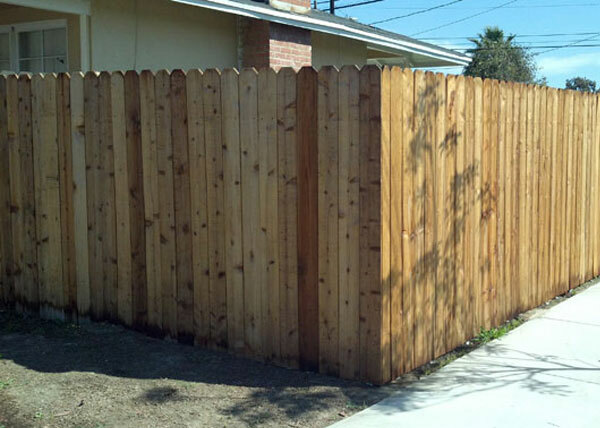 This is an outside view of a dog ear redwood fence in Gardena, CA. 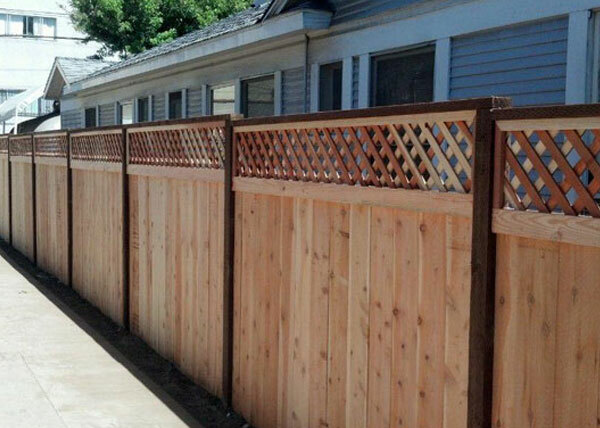 This residential fence installation features a 6 ft tall premium grade redwood privacy fence. 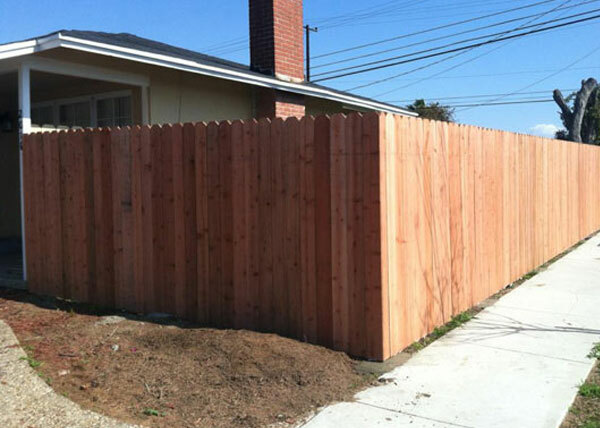 This recent fence installation in Gardena, CA shows a redwood fence four months after installation. Due to weathering from the sun, the wood dries up and transitions from its red tone to a more yellowish tone. J&J Fence completed this residential fence installation in Gardena, CA. This a dog ear redwood fence with pressure treated top and bottom rails. 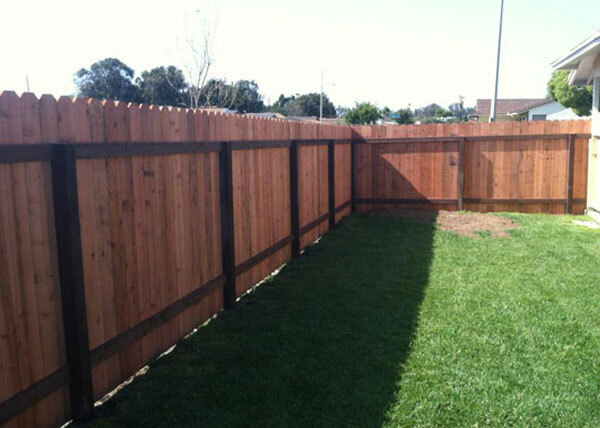 The privacy fence is 6 ft tall and made out of premium grade redwood.